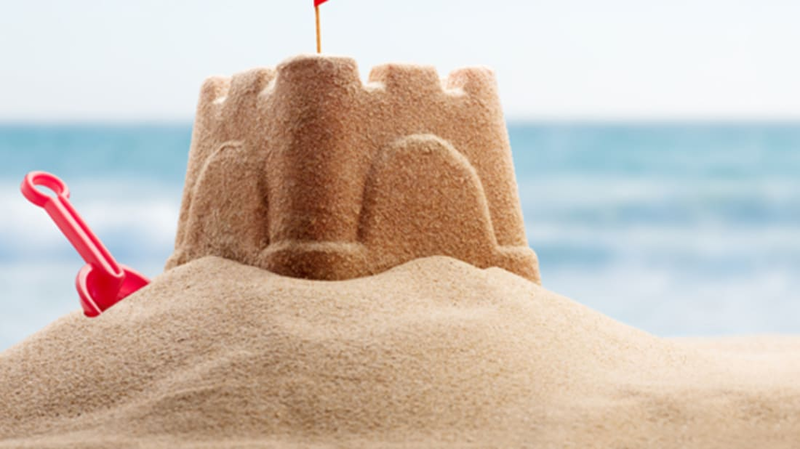 The art of the sandcastle could be considered a lesser form to someone like Pritzker Prize-winning architect Renzo Piano. As a world-renowned designer with 50 works under his belt (completed or currently in progress) including the Centre Pompidou in Paris, The Shard in London, and the brand new Whitney Museum in New York City, a disregard for the ephemeral pieces would be understandable. In a recent piece for The Guardian however, Piano instead devotes the kind of attention you might expect of an expensive, high-profile building project to the process of crafting exquisite beach architecture. First and foremost, Piano writes that, “it helps to think like a child” and acknowledge that “building a sandcastle is a totally useless operation” because it isn't made to last. It’s important to be mindful of the castle's proximity to the water. Once you've settled on a space, build a moat, craft the mound (the ideal incline is 45°, he says, and the ditch needn’t be more than roughly 12 inches deep and 17 inches wide). After the structure is built, construct a pathway for water to fill the moat and add distinguishing markers for passersby.